Within a football program that will turn 150 next fall and has built a tradition with both Hall of Famers and a Heisman Trophy winner, it’s nearly impossible to create a legacy that can stand with the greatest ever who wore Orange and Black. John Lovett did just that, though, and he punctuated it in style Monday afternoon when he was awarded the 2018 Bushnell Cup as the Ivy League Offensive Player of the Year. 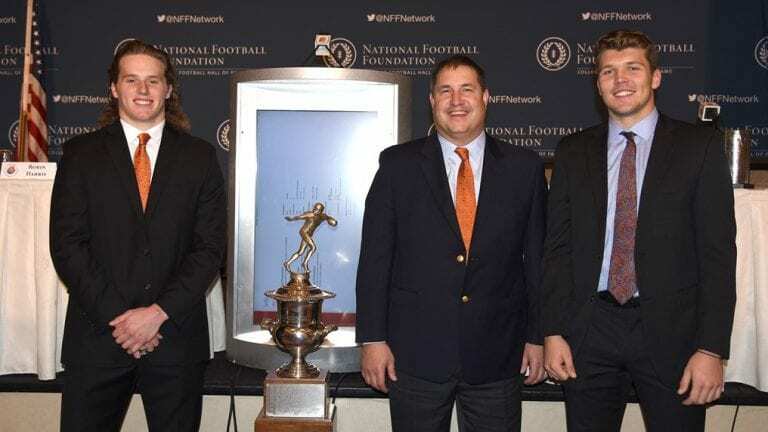 Only the fifth two-time Bushnell Cup winner in Ivy history, and the first ever from Princeton, Lovett defeated teammate Jesper Horsted in a historic final vote; this was the first time one school had both finalists for either the Offensive or Defensive Player of the Year since the Ivy started this format in 2011. It was fitting that this duo was the first, because Lovett and Horsted paced Princeton to the greatest offensive season in Ivy League history — and one of its greatest team performances in program history — as well as Princeton’s 12th Ivy League championship, and only its fourth outright title. 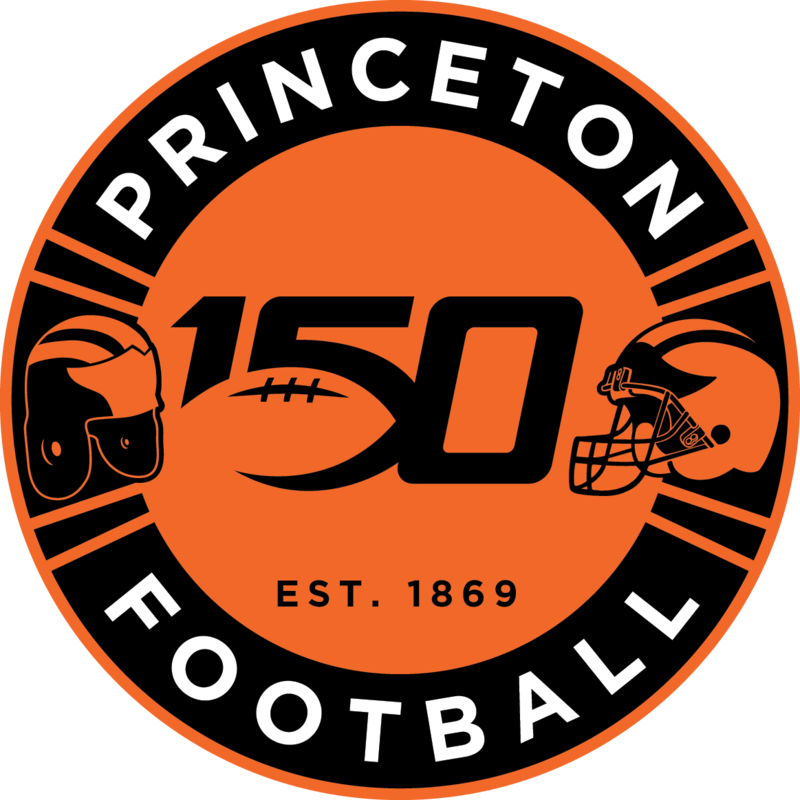 The highest-scoring team in the 63-year history of the Ivy League, Princeton posted its first perfect season since 1964 and finished the 2018 season ranked eighth in the AFCA Coaches Poll. And while Horsted was a record-setting leader in that effort, nobody has had a bigger impact on the program’s success over the last 50 years than Lovett, who accepted his second Bushnell Cup at the Hilton Midtown in New York City Monday afternoon in front of several of his championship teammates. Princeton went 22-4 with Lovett in the lineup since the start of the 2015 season; during the 2016 and 2018 Ivy League championship seasons, when Princeton went 17-2 with the Wantagh, N.Y. standout in the lineup, and Lovett walked away from both with a championship ring and a Bushnell Cup. Princeton’s Bushnell Cup winners include Walt Snickenberger (1974), Jason Garrett (1988), Judd Garrett (1989), Keith Elias (1993), Dave Patterson (1995), Jeff Terrell (2006), Mike Catapano (2012), Quinn Epperly (2013), Mike Zeuli (2014), Lovett (2016, 2018) and Chad Kanoff (2017).